Now I don't know if I flash the new Twrp Firedance or Official ? I don' make nandroid. But I think I don't backup my Efs and Boot ! I can backup it after flash Xiaomi Eu Rom my mi 8 are global version ? I don't know why but after flashing the twrp it reboots normally. Cannot enter any twrp other than 3.2.2. Fastboot flash the recovery img, then fastboot boot the recovery img. Already done, but after flashing the recovery, with the command fastboot boot recoveryname.img it goes to Mi logo (unlocked) - black screen - mi logo (unlocked) - system. Hey i did use this trick it's succesful to flash it and got my new custom rom but it's still retrieve back to stock recovery. How can i fix it? When in twrp have yiu flashed again twrp from install - select image? Update in the Start Post/Thread. 2 new twrp and a workaround to make a backup and restore. Hi ! I use Twrp 3.2.3.1208 but they had new 3.2.3.1.Firedance ? Stay on 1208 (work fine) or can update it on Twrp ? Yes... I stay on 1208 work fine why change it. The latest version is 3.2.3, the latest official is 3.2.3.1, but it also has some problems and just because it's a little bit new does not mean it's necessarily better. Version 3.2.3-1208 is currently the best version of the TWRP. You do not have to / should not change. No, sorry it`s not mine. You can use what you want. The Version 3.2.3-0401 is newer but i don`t know it ist better for you. Test it, for me i use my Firedance Edition. Okay, I thought it was your development. This is the last version of the Twrp that I use then since I use this version "TWRP-3.2.3-1208-XIAOMI8-EN-wzsx150" after I did not see the changelog to see the difference and new features. I'm looking at this thank you for your return. If not since you are still good advice, currently on my mi 8 Global version I have Dirty flash the Rom Dev Xiaomi.eu Miui 10.4 - 9.4.11 V.10-9 (At the time I had flash formatting my partition data with BL unlock same you explain me) but if I want to go back to the stable version of Xiaomi.eu Miui 10.2.3.0 PEACNXM V.10-9 I can or I will have the problem of ARB ? Then the same if one day I want to go back to the original Global Rom of my mi 8 (example for Miui 11) how should I proceed just factory reset my mi 8 and flash the Global Rom ? If you know how to do it and have time of course. Thank you for your return to Twrp good day to you. When you go from xiaomi.eu Rom to every other Rom you have to format your data partition, the same is when you go from Global stable to dev or from dev to stable, you must format data. Wipe is not the same. When format data no have mistake with Arb. 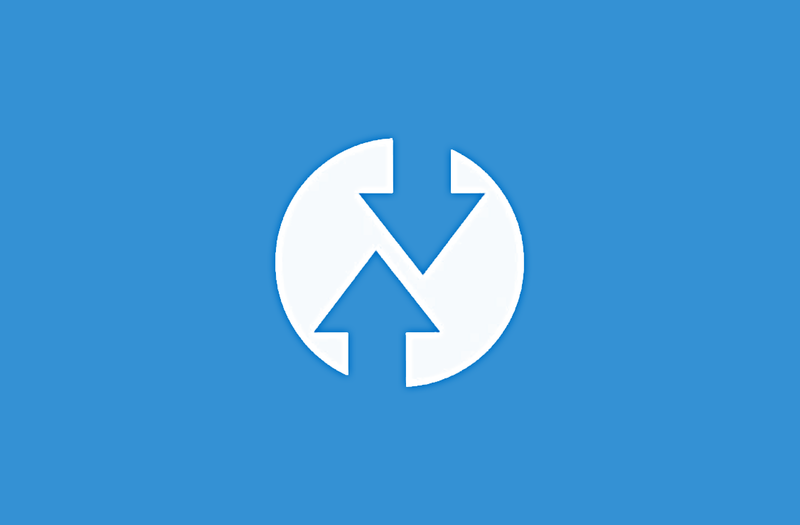 The popular TeamWin Recovery Project (TWRP) has been updated to version 3.3.0 with a new way to install TWRP and many other new features. Yes ! me too I don't know if I test it on my mi 8 because the Twrp I use work great. I don't make Nandroid to restore old version of miui it just for update it or change mui Rom Dev to stable and china to global & vis versa. But I think work great too.. perhaps if I had time !? Hi ! Thanks for response ;-) Yes I think the twrp 3.2.3-1208 are the best !!! Never had mistake with it always work great and secure for partitions. I have found the Mistake of twrp 3.3.0-0. Today or Tomorro i link a download for my own patched Version. Mi8 and Port to MI8pro, the Feutures of the img have we since Dezember with 3.2.3-1208. But this Version is official from twrp team, i think they have future for AOSP Rom`s like Lineage. Ps: Check out TWRP 3.2.3-0401 EN by wzsx150, no issues so far, fully working nandroid backups.